St. Clair calls itself “a getaway from the everyday” and lives up to it with quiet tree-lined streets, nice stores and a dazzling waterfront all decorated with a gorgeous public art. St. Clair is mainly a bedroom community, and we mean that in a good way. It is a lovely place to put down roots and raise a family. It is a serene small town with a little bit of Grosse Pointe panache and a sprinkle of Birmingham polish. Posh mansions line the river and tidy homes fill neighborhoods a short walk from downtown. A serene small town with a little bit of Grosse Pointe panache and a sprinkle of Birmingham polish. Posh mansions line the river and tidy homes fill neighborhoods a short walk from downtown. 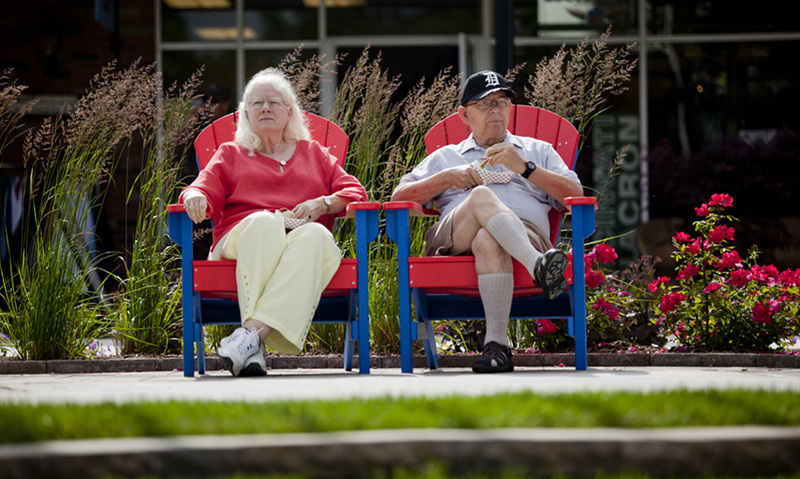 St. Clair calls itself “a getaway from the everyday” and lives up to it with quiet tree-lined streets, nice stores and a dazzling waterfront all decorated with a gorgeous public art. The plaza, the heart of the city’s downtown, is home to unique shops and restaurants and a new craft brewer. The middle of the plaza, though, is a miniature park complete with rolling lawn, more public art, and places to gather and relax with friends and family. Discover the magic of St. Clair, a serene small town with a little bit of Grosse Pointe panache and a sprinkle of Birmingham polish. St. Clair shares its name with the mighty St. Clair River, which flows past Palmer Park in the city’s downtown. Palmer Park is home to the world’s longest freshwater boardwalk. Stretching a quarter of a mile along the riverfront, it is an unmatched venue for watching international freighter traffic on the St. Clair River, as well has just a great spot to hang out and relax with family and friends. 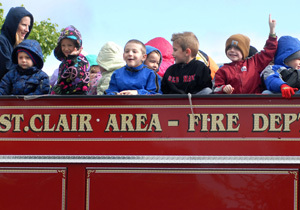 Palmer Park is home to a number of community events, including some that are uniquely St. Clair. 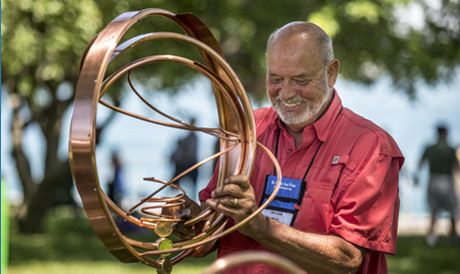 One is the St. Clair Art Fair, a juried show held in June every year that is considered one of the best summer art fairs in the Midwest. 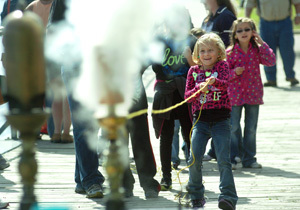 In the fall, the park is home to “Whistles on the Water” when collectors of antique steam whistles get together to share their very loud toys with fascinated spectators. The boardwalk also links two distinctive St. Clair landmarks. At its northern end is the landmark St. Clair Inn. First opened in 1926, the hotel is on the National Register of Historic Places. Modeled after an English country inn, it has played host to movie stars and generations of prom night dates. The hotel is currently in the middle of a $40 million renovation. 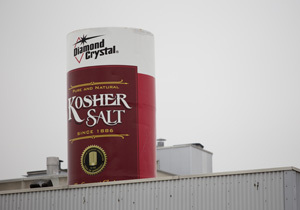 Farther south along the waterfront is another unmistakable icon — the giant box of Diamond Crystal salt atop the Cargill salt plant. The plant produces salt in a unique way, pumping water deep into underground salt deposits, drawing it back to the surface and evaporating the water away. The result, many of the world’s finest chefs say, is a salt with a unique crystal structure that tastes and cooks better. Across the street from Palmer Park and the boardwalk is the Riverview Plaza and what many call “St. Clair’s front yard.” The plaza, the heart of the city’s downtown, is home to unique shops and restaurants and a new craft brewer. The middle of the plaza, though, is a miniature park complete with rolling lawn, more public art, and places to gather and relax with friends and family. St. Clair is served by the East China School District, one of the best-performing districts in our region. Two of the district’s elementary schools are ranked among the top 3 percent in the state. 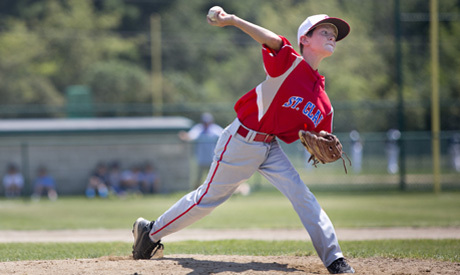 When they’re not in school, St. Clair’s kids play Little League baseball and softball on world-class fields built by local donors and volunteers. And those Little Leaguers make a habit of winning state and national titles. Other kids play at the city’s other parks, which include facilities for skateboarders and BMX bicyclists. Their parents play golf at the St. Clair or Pine River courses or paddle their kayaks up the Pine River from the St. Clair Harbor.